and the gory goddess Glory, her sister-witch. our fair machines housed us light as gods. into the bright blue place of death. and gained Glory by it, Duty’s glittering whore. and flame and pain and smoke in the last breath. immortal and golden from the ashes to soar the skies again. And I owned then such war honors and renown! forced down behind our lines and captured alive. It was a long way to Tipperary,. I had quit the ranch and rode up to Alberta to join the Canadian Mounted Rifles. and transferred into the Royal Flying Corps a Captain. After the War, I came back to the States, bought a surplus Jenny for $200and barnstormed the country. I came home to Sunday Creek for a visit at last to show off my medals and my skills and to see who else had got out of it alive. Giving rides to home town folks for $1.00 apiece, I went down in flames when a fuel line burst. My passenger, my uncle Billy Wade the ranchman, did not survive. I have seen dawn, that deadly siren out of whom the day springs. I know the sky’s labyrinthine ways. These wings I wear were not my father’s wings. and they name me “Hero” until the end of days. This poem won “Honorable Mention” ($75.00 cash award and publication)in the 2006 War Poetry Contest from Winning Writers. SE 5a “Scout Experimental 5”—The SE 5a entered service in 1917. Many pilots preferred it to the dangerous Sopwith Camel. SSD “Siemans-Shuckert DIII and DIV”— The SSD was considered superior to the Fokker DVII. LVG C II— Luft-Verkehrs Gesellschaft Type II, a two-seater fighter, entered service in 1915 replacing the Type CI. In November of 1916, an LVG CII dropped six 22-lb. bombs on Victoria Station in London. Pfalz DIII-- The Pfalz DIII was first deployed in August 1917. It was employed primarily against observation balloons. Fokker DVII-- Generally regarded as the best German airplane of the war, this aircraft entered service in the spring of 1918. One of the first pilots to fly the DVII in combat was Hermann Goering. Albatross DII-- This plane entered service in January, 1917. 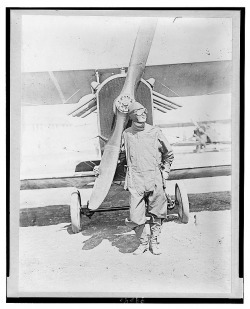 Manfred von Richtofen was among the first to be issued this aircraft. Hansa-Brandenburg DI-- This aircraft was designed by Ernst Heinkel. This was the preferred aircraft of Austro-Hungarian Ace Godwin Brumowski.